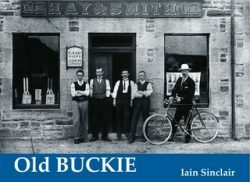 Fraserburgh is famed as a fishing port, and every aspect of this cornerstone of the local economy is recorded in Jim Buchan’s book. 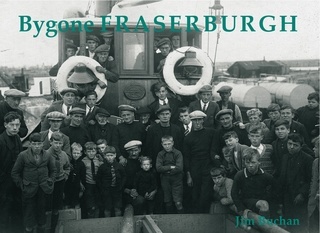 There are pictures illustrating the conversion of the town’s fishing fleet from sail to steam, a fish auction on the quay, herring gutters and packers at work, a new harbour extension being built and opened, and two of Alexander Duthie’s sailing ships off the coast of Australia where they were involved in the annual wool trade. 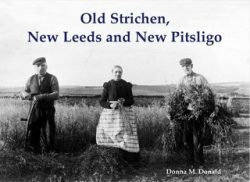 Many more photographs and pages are also devoted to fishing, while other subjects covered include the enigmatic Wine Tower, some of the ships to have foundered off the Fraserburgh coast in past years, and even Buffalo Bill’s visit to the town in 1904. 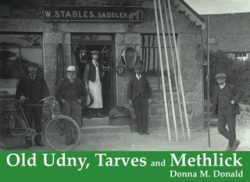 There are six interesting views of the Consolidated Pneumatic Tool Co.’s extensive works, along with pictures of the town’s main streets, making this a very comprehensive book. 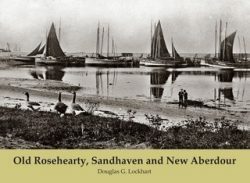 A pictorial history showing how the town of Fraserburgh looked in years gone by.